As a Senior Data Analyst you will be part of the Static Data team within the department of Data Management. The team is responsible for sourcing, validation and distribution of static data to all users in the organization. Its objective is to optimize data flows in a continuously changing environment and to avoid any disruption of the investment value chain by providing consistent (timely, correct, complete and accessible) static data across NN Investment Partners. The team in The Hague is supported by an operational team in India that is focused on the execution of the daily processes. Ensure documentation in manuals, controls andSLA’s is accurate and up-to-date. Fluent in English, both written and verbally. Ability to think “outside the box”, without compromising on risk awareness. 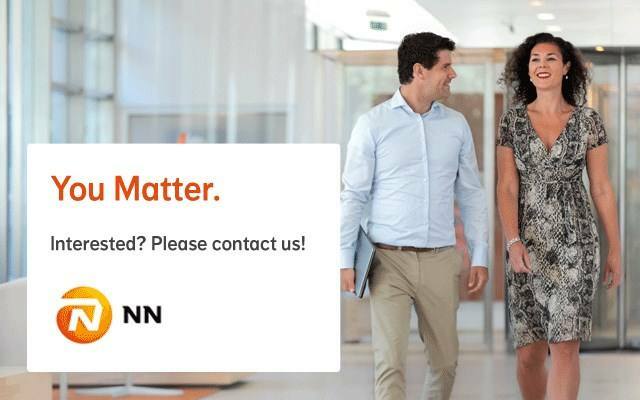 Please send your application for Senior Data Analyst at NN Group in The Hague including your CV via our website. If you look at the CRO space in our industry, the key issue is how to embrace technology and the modernisation of the business. In the risk function, then, this is about IT tasks and technology, and how to manage the risks. Robotics and artificial intelligence are becoming a part of how the operations work in insurance.